Have you just graduated? Have you just landed yourself with that first job? Are you ready to take on the world but you feel lost? 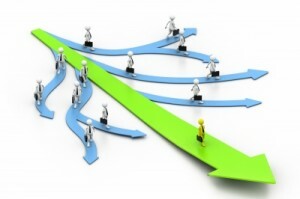 Are you at your first few years of work or at a career crossroad? And feeling disgruntled, demotivated, confused and in need of guidance? What do you do next in order to progress? Life in the working world is very different from school or college. There are no clear rules so to speak. But there are guidelines and principles you can follow to increase your chances of career success. Based on our real life experiences, we want to provide you with guidelines, advice and tips to help you ease into the working world. In the hope this will help you achieve career success. This is our toolbox, tools we have used in the course of our own pursuit of a successful career. The tips, techniques and advice are geared for you to be a success with bosses, colleagues, clients and foes. While we can share our experiences with you, YOU need to belief that you are in charge of your own destiny. Everything starts and ends with you. You are the one in control, no one else. We do not have magic formulas here you can learn in a night and be on your way to greatness. But what we know is this – the advice, tips and techniques here are used by ourselves. We aim to guide you towards a successful career, work and life. We have collected them for you to freely use in pursuing career success. You are your own career builder; we are the supplier of the tools. You need to decide which tools to use, which suits you best and then put them into action. Bring Enthusiasm. Unless you are interested to improve yourself and attain success, no amount of reading can help you. Take Action. Internalize the relevant materials. Then decide to take action. Nothing happens until you act upon that change you desire. Be Patient. Nothing happens overnight. Success like many things in life takes time. Drop by drop an empty bucket is soon filled with water. Small steps at a time. Pursuing career success is a marathon. Not a sprint. As you peek around you will see things in a different perspective, so you can enjoy and feel more satisfied pursuing career success. Well, come on in and let’s get started! Whether it’s your first time in or you are looking to further your position within your current career, navigating your way through the path of career development can be a daunting endeavor. Knowing where to seek career advice can ease your transfer into a new career. Developing your identity, creating and maintaining your image, and preparing yourself to take advantage of emerging opportunities all contribute to your success in the workplace. 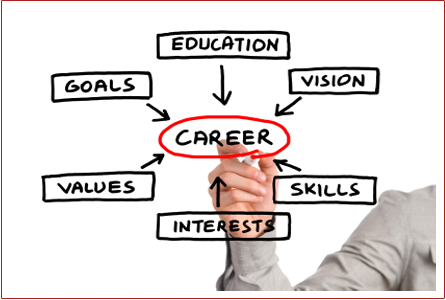 Career planning is a personal plan to increase your value to an employer while focusing your career goals around your unique skills and ambitions. Some excellent published works on career advice include: What Got You Here Won’t Get You There: How Successful People Become Even More Successful by Marshall Goldsmith and Mark Reiter; Your Career is an Extreme Sport: Focus Drive Excel by Eileen Gunn; Working Identity: Unconventional Strategies for Changing Your Career by Herminia Ibarra; and Rules for Renegades by Christine Comaford Lynch. Don’t let a company control your progress. If your place of employment lacks opportunities or promotes a culture that discourages progress, move on the greener pastures. Good companies allow their employees to grow along with them. If your company doesn’t allow you to branch out and continue to develop your skills, look for another company that does. Knowing when to seek career advice is often intuitive. You may feel overlooked, neglected, or even bored. If you aren’t challenged by your position, if you aren’t allowed to grow at a comfortable pace, if you feel your work environment takes from you more than it gives, it may be time to consider seeking advice from a mentor or other resource. Description: This is a application and interview practice forum for Grades: 9–12. practice completing a job application and participate in a mock interview. Job Application printable (PDF) from Spell Well! 50 Quick, Fun-Filled Ways to Help Students of All Learning Styles Masters Their Spelling Words and/or a variety of job applications from various local businesses. Copy the Job Application (printable) and/or collect a variety of job applications from various local businesses. Make sure the applications are blank. Make sure to do this study in a group of four (max). Inform other students or team members in your group that they will be involved in mock job interviews on a specified date, encouraging each to dress appropriately for the mock job interview event. Describe five ideas, accomplishments, strengths, skills, or personal qualities that you think would best “sell” yourself to an employer. What are your personal skills and abilities, and how do they relate to a particular job? Write about specific examples of how you have used them. What are your weaknesses, and what steps are you taking to improve them? Describe your ideal work environment, which may include the kinds of companies and their philosophies, physical environment, types of people with who you work, amount of supervision, and types of responsibilities. Describe your educational background. How is it relevant to your desired job? Step 1: Introduce this lesson to your group (if its a group study). Complete the application as though you were applying for a job right now. If you have a job, you may use that as a reference. If not, ask everyone to think about where they would like to work. Encourage each other to use the information from your resumes and career portfolios that would help out. Step 2: Collect the applications. Assemble in their small groups (max of four if a group study). Redistribute the applications randomly, asking each team to critique them. The team should generate a list of positive aspects and suggestions for improvement for each application. Step 4: Note that a standard application form is an opportunity for each students to promote their achievements, experiences, and skills. Your aim should be to make connections between what you have done (at school or in other jobs) and the employer’s description of their ideal applicant. You should provide examples of how you have used certain skills in a way that comes alive to the reader of the application. Briefly discuss appropriate ways to request an application in person or on the phone. Step 5: Display the Job Acquisition Descriptions Chart and select an imaginary job (A, B, or C) for which you will be applying. Instruct them to complete the application using the experience, skills and education listed on the chart. You will be using this application during their mock interview process. Distribute the blank application and Interview Questions a few days before the mock interview, allowing students (if group study) time to complete the application and practice their responses to the interview questions. Encourage the team to dress appropriately for the interview and bring their career portfolio, resume, application, and Interview Questions printable to the interview. Step 1: Begin the mock interview by having the team quietly journal their responses to any of the five prompts listed above. When finished, discuss team responses and appropriate ways to share these responses in an interview setting. Share with the team that they will be practicing the interview process by participating in a mock interview. Step 2: Ask students to find a partner. Each will portray an interviewer and interviewee and ask questions from their Interview Questions printable. Each team member must have their completed application, resume, career portfolio, and Interview Questions printable available. Allow time for each student or team member to role-play. Step 3: Close the lesson by asking for volunteers to be interviewed by you in front of an audience. Allow the audience to provide positive feedback and suggestions for improvement. Using paired settings during the mock interview encourages all students or team members to practice in a less anxious environment. processor. The letter should be neat, organized, grammatically correct, contain no misspellings, and be written in business format. The students should thank the employer for the interview, restate their qualifications, list their phone number and the times they may be contacted, write an appropriate closing, and sign the letter in longhand. Conduct a Mock Interview using business representatives from the community. Do students or team members understand interview etiquette? Do they feel equipped to complete a resume, a job application, and participate in an interview using their career portfolio? Note how the students or each team member perform in the mock interview. Written Outcome: Evaluate the completed job application. Not getting any interviews or job offers? You aren’t tailoring your resume to EACH job ad. Show each prospective employer why you’re the perfect person for the job. If your skills or experiences aren’t an obvious match, you need to connect the dots for the employer. Your cover letter or resume are poorly written or have typos. Have a friend or relative who is a good writer look over your materials. A fresh eye may catch errors you missed. You have gaps in your employment history. Consider using a functional format resume instead of a chronological one to highlight skills and accomplishments rather than job history. You aren’t selling yourself well. You need to communicate what’s special and unique about what you have to offer. If you’re not sure where to start, try taking a skills assessment. You aren’t using the right keywords. Many online job banks use a keyword matching system to match resumes to job openings. Good keywords can be found in the job ad or position description. Use these to describe your skills, experience, and education. You don’t know enough about an employer. Researching the employer is an important step in applying for any job. It’s best to do it before you apply, but you really need to do it before an interview. Your research will help you be better prepared for the interview questions. Your interviewing skills are falling flat. Review the interview tips to prepare for the interview and practice answering common interview questions. It may also help to do a mock interview with a friend or family member. You’re sending the wrong message. Even when you’re not speaking, you’re sending a message. How you walk, your posture, eye contact, and how you dress all say something about how you feel and what you are thinking. You’re saying negative things about your past employer. An interview is not the time to do this. Unless you can show how you turned a negative situation into a positive one, potential employers will think less of you. You’re pricing yourself out of the job. Employers will ask about your salary requirement or your previous salary. If you name a salary that’s too high, they may no longer consider you for the job. Too low, and you may end up working for far less than what the employer might have paid you. Display confidence during the interview. Be confident, but let the interviewer start the dialogue. Send a positive message with your body language.